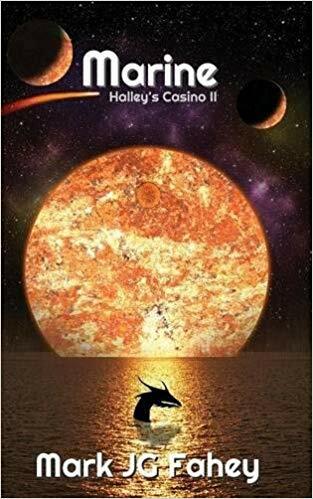 About a year ago, I read and reviewed Halley's Casino by Mark JG Fahey. Today, I have the pleasure of sharing my review of Marine, the 2nd book in the Halley's Casino Trilogy. I enjoy science fiction and fantasy--so, what did I think of Marine? Readers should expect to read this series in order. I know I am sometimes guilty of beginning a series or trilogy in the middle or even at the end--and piecing the story together until all of the books are read. 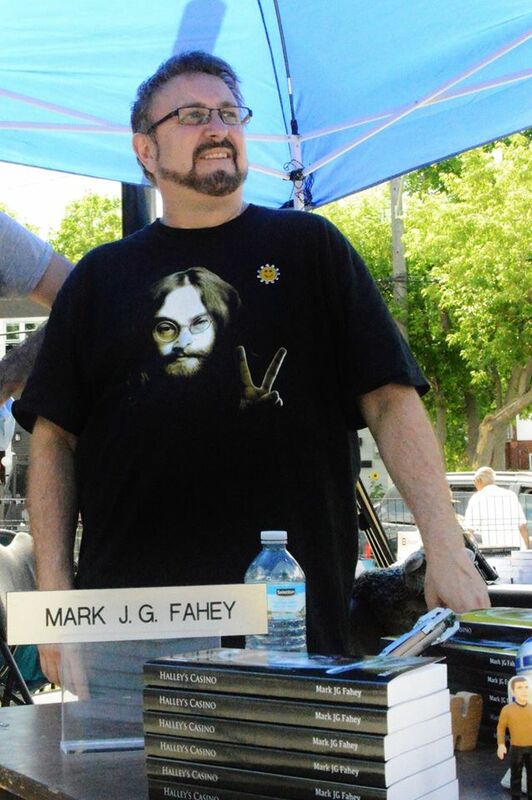 While I love Fahey's writing style--he is very organized and creates a fun story from a hodgepodge of characters and events--he doesn't give readers much of the backstory from the first Halley's Casino book. I think readers would enjoy the trilogy most if the books were read back to back--without a lot of time nor other science fiction/fantasy novels between books! Additionally, this novel leaves readers hanging with loose ends--so expect to need to read the final book of the trilogy for any real closure to this novel. Expect some twists, turns and new characters. Much like the first book, the author keeps the pace and the action moving with twists and turns--and some of the same humor and sarcasm with some new characters thrown into the mix. The author makes even the more serious themes of the book a little lighter with his character interactions and writing style. Would I recommend Marine? I love the characters of this series--and the author's writing style and his imaginative settings. I think I enjoyed this book a little more than the first because I had already settled into the author's sense of humor and his writing style. If you enjoy lighter science fiction--with a unique mix of characters and situations--this is fun read for adults and teens alike. To read more reviews, please visit Mark JG Fahey's page on iRead Book Tours. Halley's Casino: 3rd place winner in a worldwide competition with World's Best Story 2017 . Finalist and 3rd place winner with the Independent Author Network October 2018 and is also a finalist for the inaugural Canadian Book Club Awards 2018.